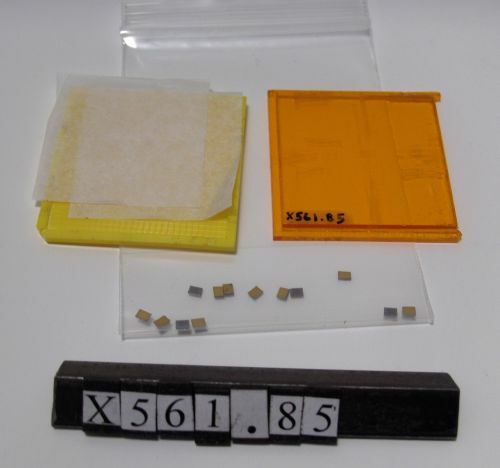 Object consists of 22 chips and plastic storage device. Dimensions are of each chip. Picture is of 3 of the 22 chips. 1-11-2008 We can only find 14 chips. Dimensions are of one chip.